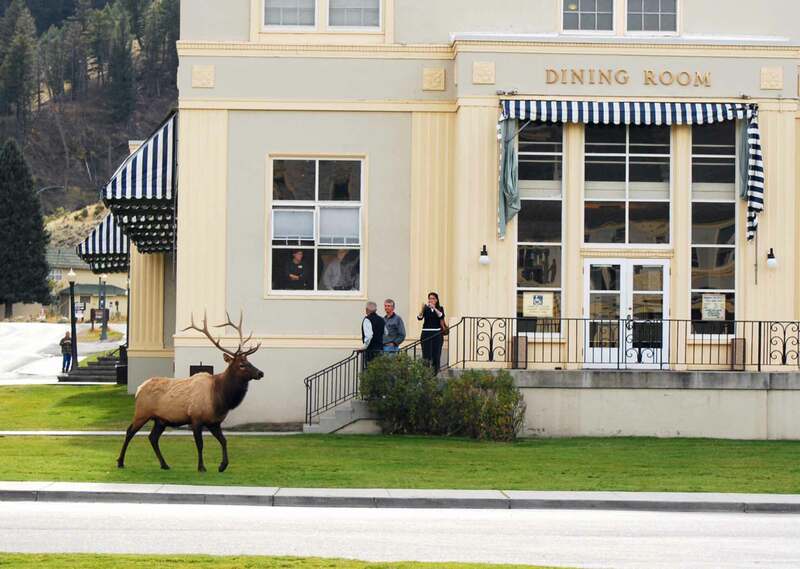 One of Yellowstone National Park’s best-kept secrets is that the food scene is amazing. While the geography, scenery and wildlife are the highlights of the park, visitors are pleasantly surprised at the quality of food. There are 20 dining options, ranging from casual to upscale, all with careful thought put into their dishes. Over 50% of the food served is locally or sustainably produced, and menus rotate according to the season and availability. Bon appétit! Enjoy anything served with huckleberries. These tasty little berries are abundant in Montana. We recommend the huckleberry pancakes (or margaritas) at the Old Faithful Inn or huckleberry ice cream cones at Mammoth Hot Springs. If you’re interested in picking your own fresh berries, don’t bother asking a local; these patches are coveted and you’ll most likely get a vague answer! 2. Pack a picnic. Within the park, you can grab something from the Lake Hotel Deli, or the Bear Paw Deli at the Old Faithful Inn. To get some of the local flavor outside the park, grab barbecue sandwiches and coleslaw from the Firehole Bar-B-Que Co. in West Yellowstone, or, for a quick snack, pick up fresh baked goods from Tumbleweed Bookstore and Cafe in Gardiner, Montana. 3. Make it a special occasion. If you can, plan for one of the many unique dining experiences. 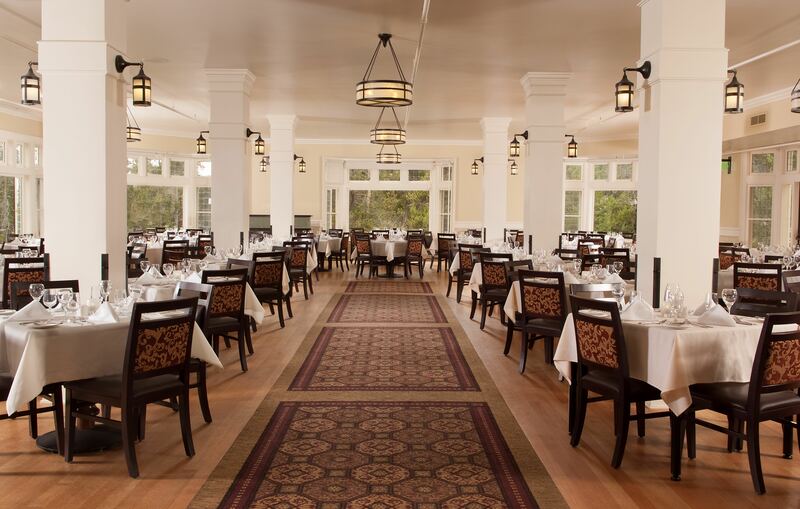 The Lake Yellowstone Hotel Dining Room sits on the shores of Yellowstone Lake. This historic, gorgeous hotel has been recently remodeled and the dining room is exquisite. 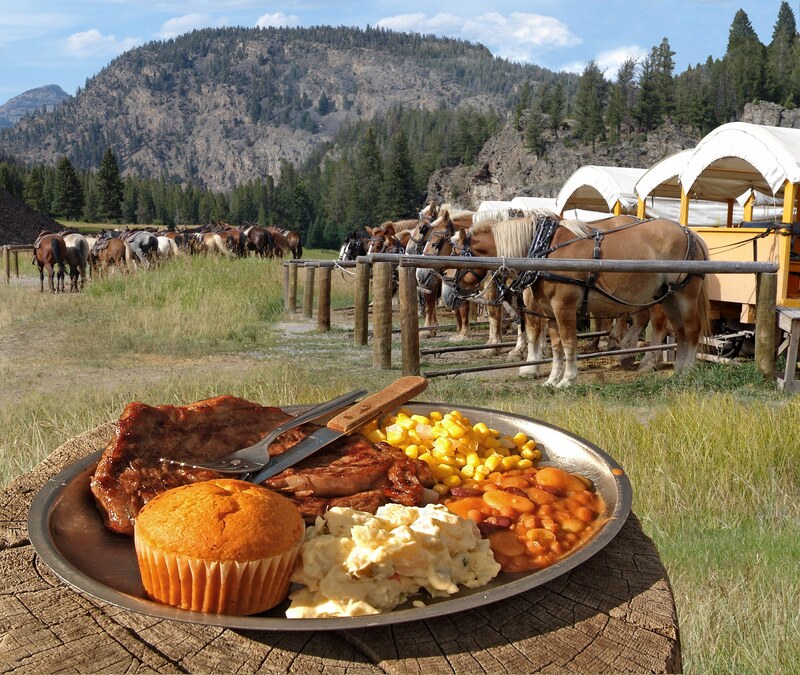 Or, for a real western experience, take a horseback (or covered wagon) ride to the Roosevelt Old West Dinner Cookout. The meal includes steak or vegetarian options complete with all the fixings: Roosevelt Baked Beans, potato salad, coleslaw, cornbread muffins and fruit crisp. 4. Pack snacks. Even if you’re not doing something active, traffic in the park can move slowly while visitors admire the wildlife. And, if there happens to be a bear or wolf sighting, you’ll probably want to pull over and watch for a while. 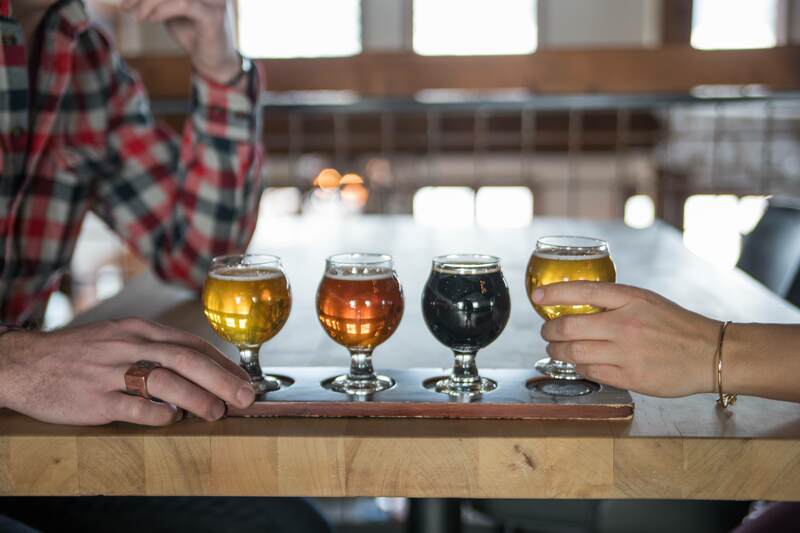 Montana-made products are popular with locals and guests alike. Look for things such as the Pepperstix from Pioneer Meats in Big Timber. The Canyon Washburn Lookout also has a great assortment of snacks. 5. Experiment with campfire cooking. There is something about cooking over an open flame that seems to make any food taste better. While burgers, hot dogs and s’mores are standard camping fare, don’t be afraid to branch out. An easy fireside meal is to pack carrots, onions and potatoes in foil and let them cook in the coals. 6. Eat dessert! Yes, you may be watching what you eat, but the rules don’t apply on vacation. Wilcoxin’s ice cream sandwiches are a favorite. 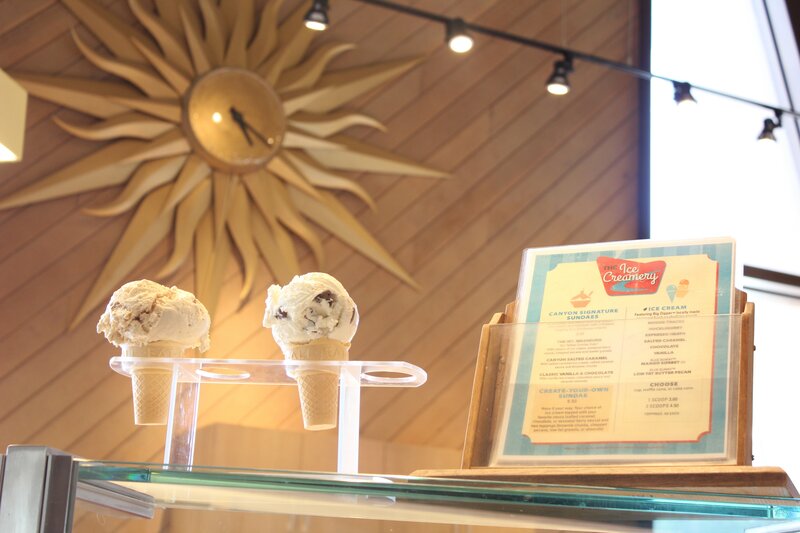 Made locally in Livingston, Montana, the ice cream is fresh and delicious. If you’re gluten free, try the Montana Monster Munchie Cookies. For a decadent ending, the Grant Village Dining Room features the Yellowstone Sundae—huckleberry ice cream atop crumb cake smothered with a mixed berry topping. 7. Try new meats. If you’re a meat lover, we invite you to step out of your comfort zone and try something new. 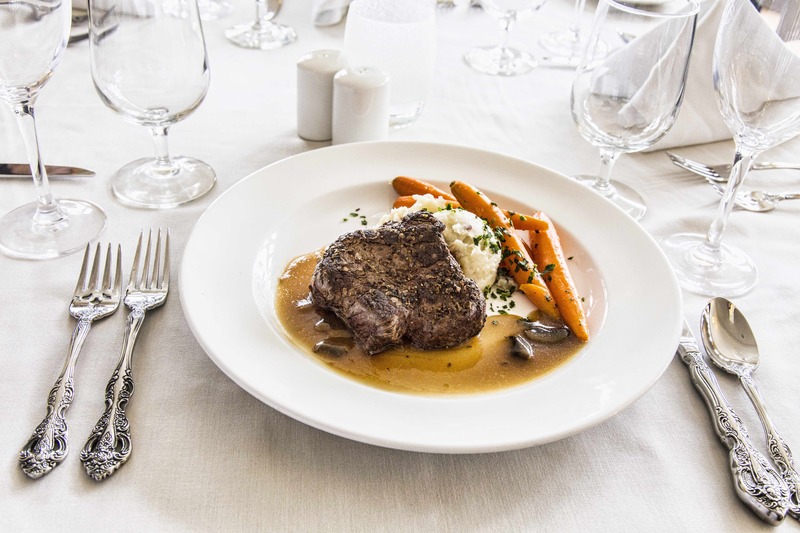 Bison, (farm-raised, not wild bison in the park) is a leaner alternative to beef. Scattered throughout the menus you’ll find bison burger, smoked bison bratwurst and bison meatloaf. The M66 Bar & Grill features lamb sliders, and the Mammoth Dining Room has elk sliders (again, farm-raised). 8. Eat a good breakfast. Exploring the park is best with a full belly and a lot of energy. If you’re in a hurry, try the breakfast buffet at Grant Village Lake House Restaurant. For lighter fare such as local hot cereals or daily featured frittatas, Canyon Lodge Eatery is a good choice. For traditional favorites such as biscuits and gravy, egg and potato skillets or thick slices of French toast, Roosevelt Lodge is the place to go. 9. Make time for lunch. Mid-day is a great time to take a break. 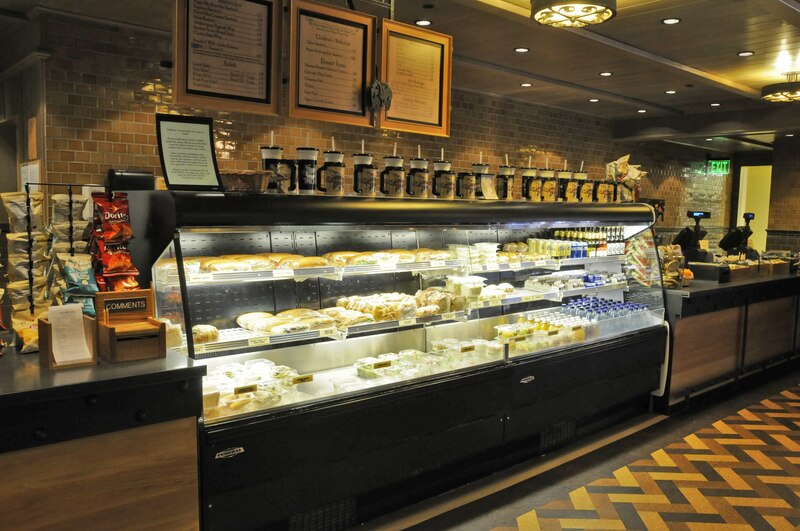 The Lake Hotel Deli features house-crafted specialty sandwiches such as the smoked wild Alaskan salmon B.L.T. with wasabi mayo. If you prefer to eat outside, try a grab-and-go flatbread from the Canyon Falls Cafe and find yourself a nice shady spot. You may even want to grab a quick nap! 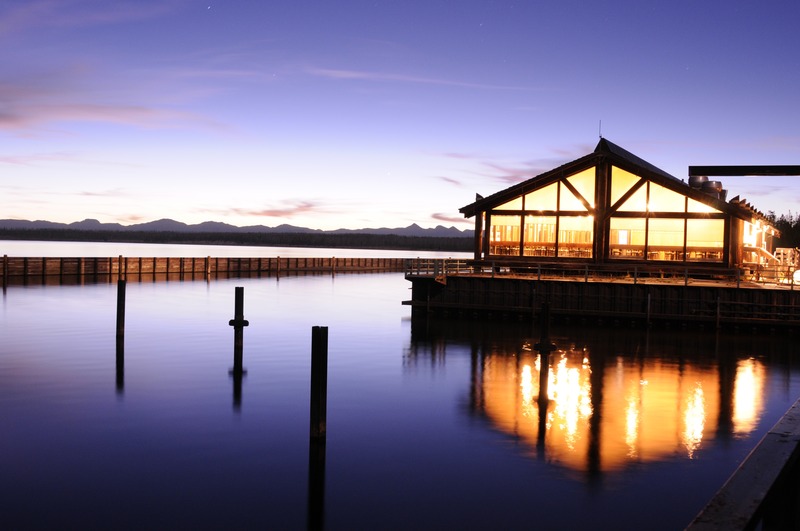 For a full list of dining options, go to Yellowstone National Park Lodges. Photos courtesy Yellowstone National Park Lodges.